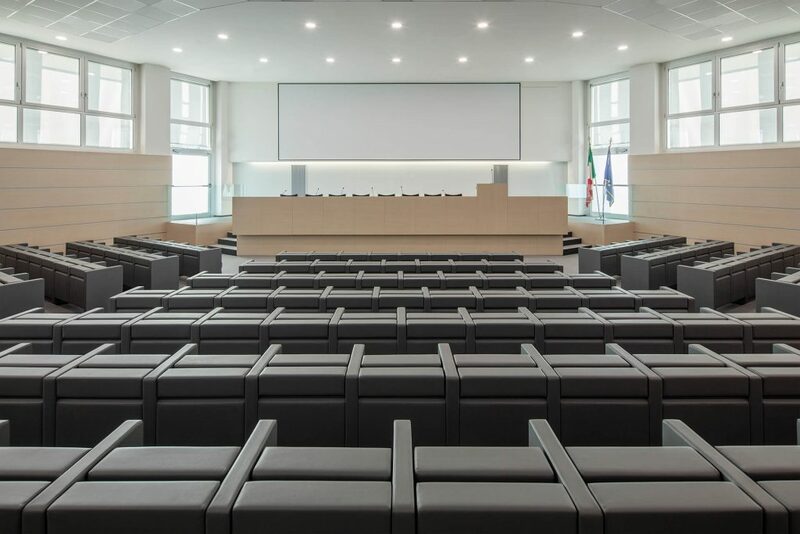 LAMM strengthens its vocation for conference hall and university campus design, standing out for its style and elegance as proved by Polo Lambruschini – La Masa Great Hall of Polytechnic of Milan University. 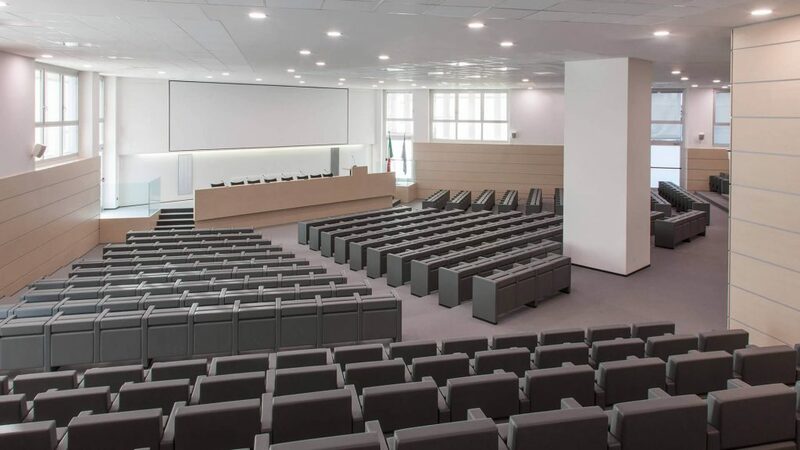 The project concerning the 460 square metre great hall involved the installation of MURA B and MURA B Vip (version with high backrest) on beam and arranged on steps. 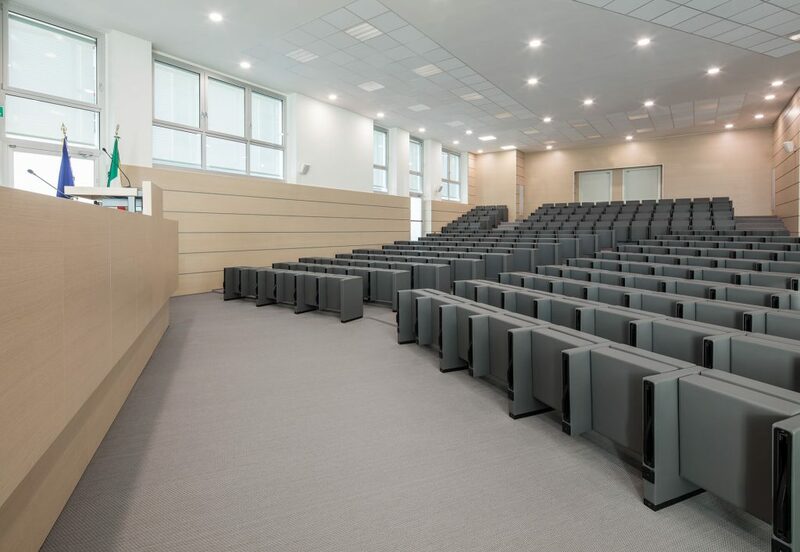 Accessories such as a writing tablet and an electrification system were added to increase the functionality of this product.